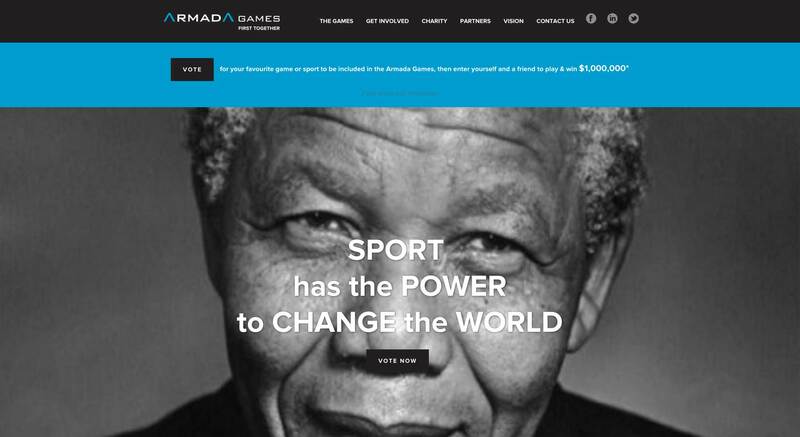 Armada Games is an international event, combining sport, sponsorship, global online and offline participation with philanthropic and charitable contributions. 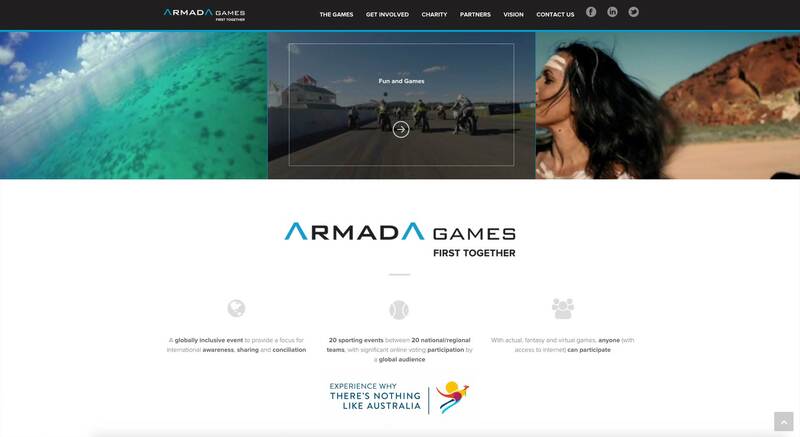 The objective of the Armada Games is to create a long-term, globally inclusive event to provide a focus for international awareness, sharing and conciliation. 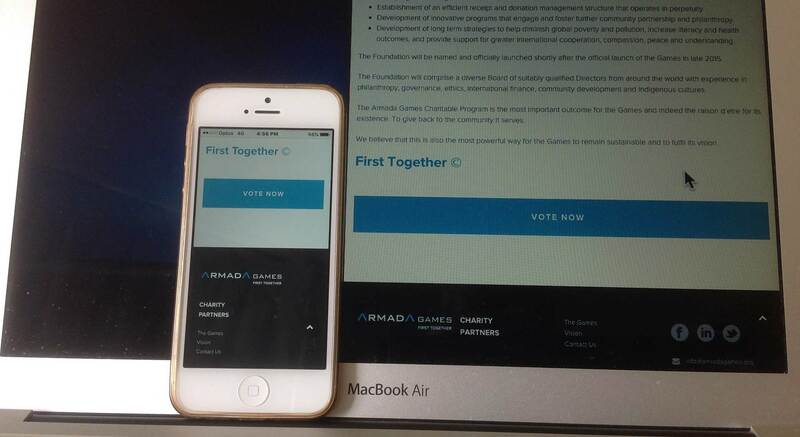 20 sporting events between 20 national/regional teams, will be staged with significant online voting participation by a global audience. 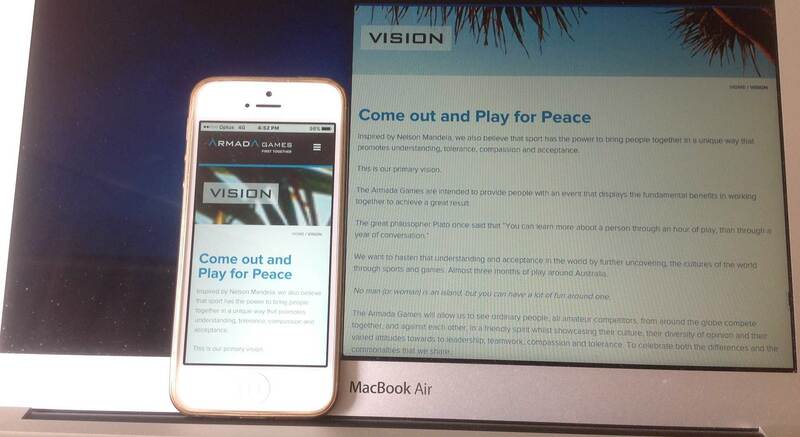 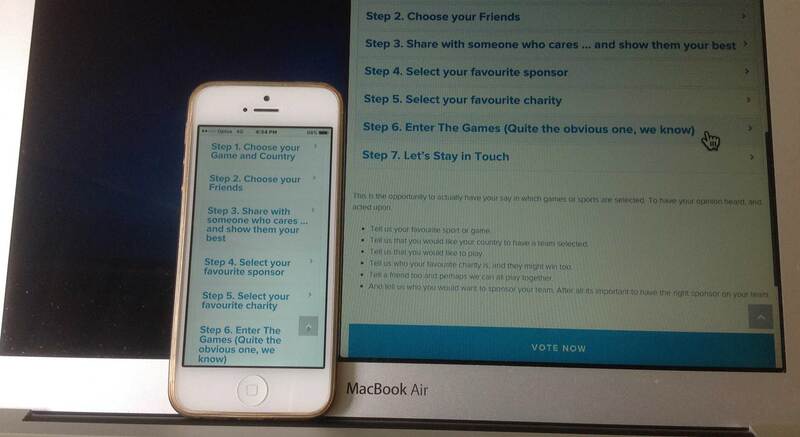 With actual, fantasy and virtual games, anyone (with access to the Internet) can participate. 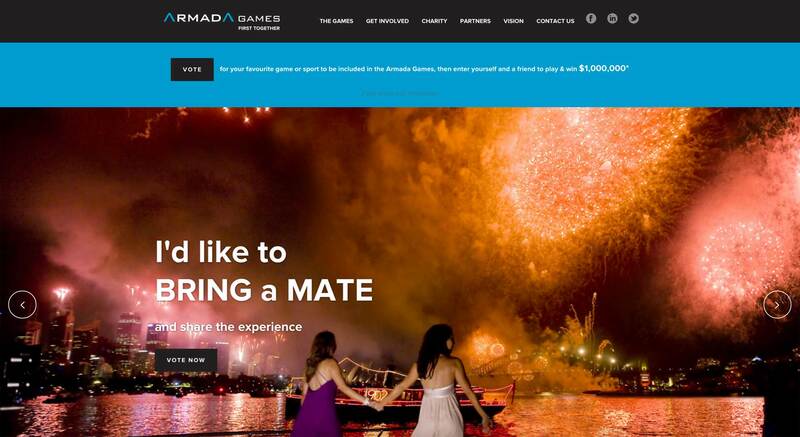 Launched in late 2015, the first Armada Games events around the world; culminating with a major three month, twenty team competition in Australia; are planned for 2017. 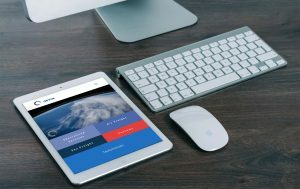 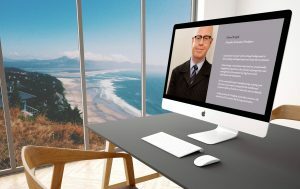 The site includes full-screen vectored background images, bold text, integrated videos, secure e.commerce, and hierarchical access to a sophisticated and easy-to-use WordPress content management system (CMS). 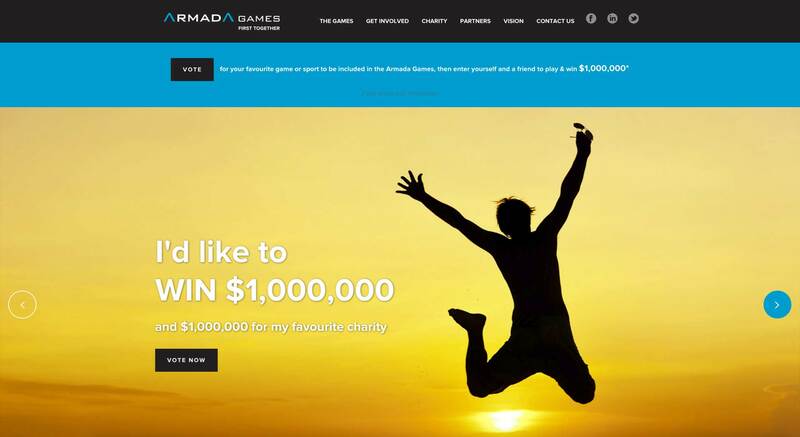 As a corporate social responsibility (CSR) initiative, Digital Tsunami is supporting the Armada Games on a pro-bono basis. 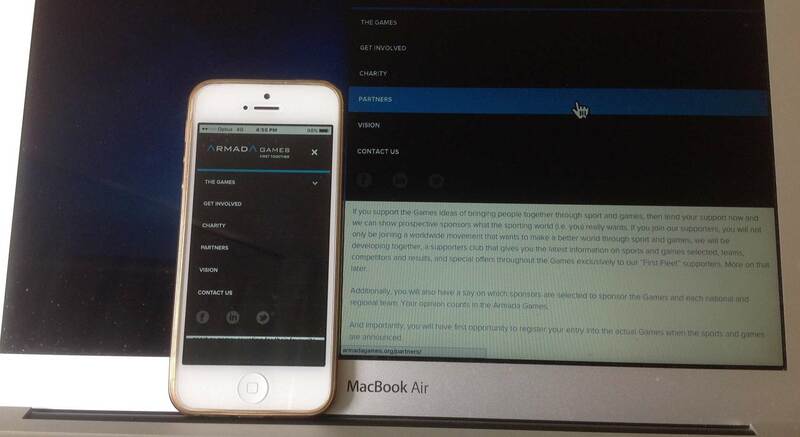 This support has included the development, hosting and technical support of the international web presence.